OxyLift, OxyEarth, OxyFlush, NutraSilver, and Zeolite Pure. Overall, the detox foot patches are my main product and always will be. If you have any questions about them, even if you did not purchase your foot detoxification products from me, please feel free to email me. I guarantee no fillers in my detox foot pads. Other foot pads have over 50% fillers in them, making them practically useless. They are a scam. Do not be caught up in the scam. I have the best quality detox foot patches at the lowest price on the internet. I offer a money-back guarantee if you are unsatisfied. 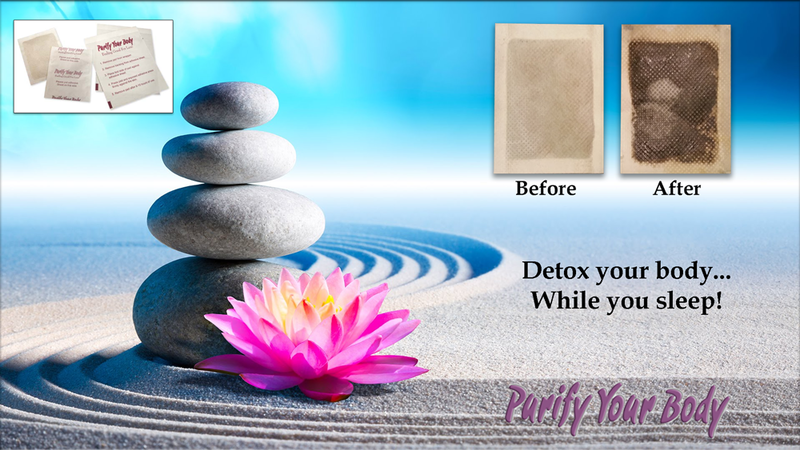 Purify Your Body offers FREE PRIORITY MAIL SHIPPING to the U.S. on orders of 40 or more. (First class shipping on orders below that quantity). If you are ordering internationally, please contact me BEFORE placing your order as exact shipping costs will be added to your order. Thanks! We also offer FREE priority mail shipping of our foot detox pads to all U.S. military bases throughout the world. We are very thankful for those serving our country, and proud to have many of them as long-time customers.